Up to 1,500 words. The root of the word memoir is “memory.” A memoir is a story told in the first person about personal experiences—that actually happened—this is important. The contract with the reader of a memoir is that what you are writing is true, and the truth is shaped into a story. Of course you may need to change names, and create the essence of dialogue and even weather, but the essential truth of people, places, events is there. A well-written memoir will use dialogue, scenes, sensual details, and draw the reader into a world the writer creates. The reader will be changed by the memoir story, and learn something new about people and how we all live here on the earth together and yet set apart by the silences that must be broken to connect us. Write several drafts, tell your story fully, and keep that inner critic quiet. Read it aloud, and listen to your voice as you approach a later draft. Most of all, enjoy writing, remembering, and sharing your work. As we say at the National Association of Memoir Writers: Be brave—Write your Story. Linda Joy Myers, Ph.D., MFA, is the President and founder of the National Association of Memoir Writers, an Instructor at Writers Digest, Co-President of the Women’s National Book Association, San Francisco branch, and past president of the California Writers Club, Marin branch. Linda is the author of The Power of Memoir—How to Write Your Healing Story, Becoming Whole, and Don’t Call Me Mother, which won the BAIPA Gold Medal prize. Linda’s next book is Truth or Lie: On the Cusp of Memoir and Fiction. 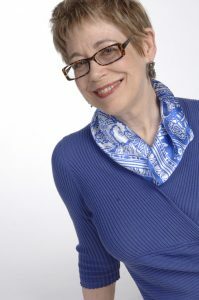 She gives workshops nationally, through NAMW, Story Circle, and the Therapeutic Writing Institute, and helps people capture their stories through coaching, editing, and online workshops.